Let’s be frank. The hustle is not for the faint hearted. It’s tough and it tests your limits. In those trying times, you need a companion that will keep up with the pace and be with you through and through. 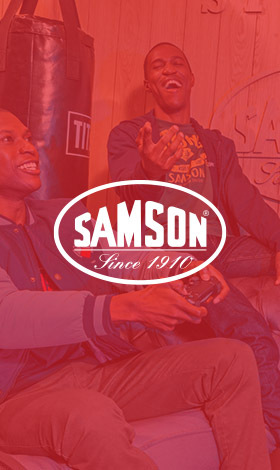 Samson has always been about the go-getters, the people on the cusp of making a break through. Samson clothing is made for durability. Its’ fabric is tough and guaranteed to stick with you while you are busy making moves. We understand success doesn’t come easy, we know that for these tough streets you need tougher threads. To get on top of the game you must be ahead of the pack, two steps ahead and ready to make big moves. Samson is the brand you need for this. Every stitch is as meticulous as your focus, every product made with the same attention to detail that you put into your hustle. Getting to the top isn’t easy, you need tough thread that will keep up with your pace. You need Samson.